Finding a great range of Apartments and Flats set in the finest UK's cities, as well as some superb country locations in Oxfordshire couldn't be easier - just take a look at our great selection of Oxfordshire apartments and flat rental and letting accommodation. Check out the apartments and luxury flats accommodation, availability and book online a big selection of self catering in Oxfordshire available direct from independent owners and leading holiday operators. 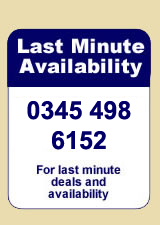 We have 1 apartments and flats listed in Oxfordshire that are available for short breaks, weekend breaks and holidays. Whether you are looking to rent an apartment for a short break or are considering a longer let for a holiday you may be able to narrow your search down by using the towns in Oxfordshire below.